Brows are one of the hottest trends in the beauty industry. 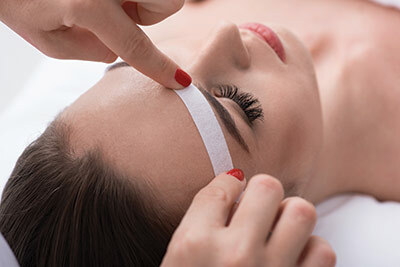 Eyebrow products continue to be the top-selling items in the prestige beauty sector of color cosmetics; however, most prestige spas and salons are not finishing brows with color after shaping them. Ask yourself this...would you send your client out with wet hair after a haircut? No, of course not, so why would you send your clients out with waxed but unfinished brows? Brow finishing products not only give the client what they want, but they also boost retail revenue. A brow service should always entail more than just waxing the brows, and you can set yourself apart from your competition with a complete service. If you want to establish a serious brow business and add brow services to your menu, you want to follow these essential steps to ensure success. The most important factor in ensuring success is the brow expert. Shaping brows is a talent just like any esthetic service. You’ll want to hire a licensed technician with a strong background in makeup artistry, to be solely dedicated to brow services and be able to sell retail and educate clients about their brows. In your interview process, review the candidates’ portfolio and watch them perform a brow service on a model so you can assess that their personal style complements that of your facility. If you are unsure about having a full-time brow technician, use one on a part-time basis and build the business from there. Your brow menu should feature options for your clients. It could include the following treatments. Brow shaping. This is just what the name implies and is normally done with wax, tweezers or threading. It is what 90% of professionals do and why there is so much missed opportunity in this space. Classic Brow Makeover. This would be a combination of brow shaping and brow finishing (see 3 Brow Perfection Techniques). Deluxe Brow Makeover. This service includes shaping and finishing with an eye mask following. Shape and Share. Take your brow menu to the next level by offering the client a brow cosmetic kit after the service. What makes this so special is that the customer receives the wax/shaping as well as the perfect home-care kit. This is sold as a deluxe brow makeover with a custom color match and personalized grooming to perfect the brows. With the product side of the sale guaranteed and service bundled together, it’s the best of both worlds. The extra time to educate your client on the products (which is less than five minutes) you will make the brow service exclusive and unforgettable. Thus, you set the bar high for competing brow services in your area. Gratis Touchups. A great way to launch and build your brow business in the beginning is to offer a one-time complimentary brow touch-up to every other service the salon/spa may offer. This will drive awareness and retail sales as you introduce your clients to these new services and products. Brow touch-ups are an easy and quick service that nearly everyone can do. Even when a client has received a facial, you can give her a one-time complimentary brow finish. A lot of clients feel bare faced when leaving a facial, and just finishing her brows will allow her to feel more confident stepping out the door. This will only take five minutes but can be a $25–$50 retail sale. Once this gains momentum, you can add it as a facial add-on. Create a Package or Series. Once you have your services decided, you can start to create series or package options for your clients. For example, let’s say you price a classic brow makeover at $30. If a client came to your salon or spa five times, they would pay $30 per service for five services or $150. You would offer a series of five classic brow makeovers for $120. That is a savings of 20% for your client, and it guarantees that you will see this client five more times. Series and packages can play a major role in your successful brow business and provide gift opportunities for your client’s friends and family. These items should be on a clean, modern-looking menu, and descriptions can be posted on your website. Your front desk staff should also be knowledgeable in the services provided and be asking each client if they would like to add a brow service when clients are booking and if they want a series of packages when checking out. A great way for exposure and service accessibility is to establish a dedicated space for brows and brand it as a “brow bar.” This should be an area the client can see right when they walk in, so they know you are in the brow business. Without this, many clients walking in may be unaware of the brow services you offer and this will help grab their attention. You don’t need to tear your spa apart to have this. You can simply offer a table and chair with your brow products, display, a mirror and a light. Merchandise and advertise your brow services. You want to have shelf-talkers promoting the brow services in your retail area and/or your front desk. You also want to have proper displays for your brow products and testers, so anyone can come up and play with the products. Utilize social media platforms to promote your brow services. Brows are on trend, and you want to tell the world that your spa is now carrying a full brow menu and brow product line. Send e-mail blasts to all your new, past and current clients talking about your upgraded and special brow services! You could even have a brow event night, where you can offer complimentary brow finishes, a demonstration, product discounts and bubbly. All staff members should receive a complimentary brow makeover on the house. Make sure everyone working at the salon/spa is knowledgeable in what brow services you offer and are talking about them with every client. When you follow these steps, you will see an increase in service and retail sales. Brows are a powerful feature on the face and can make the client look and feel younger. Just imagine if everyone’s brows walking out of your establishment look perfect. By creating a menu, establishing that you are in the brow business and providing high-quality brow products to your clients, you will take your brow business to the next level. Chris Kolodziejski is the CEO and founder of Chella. 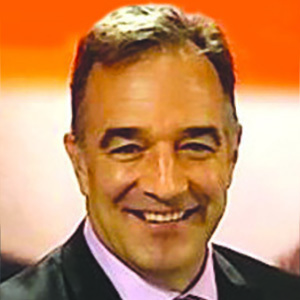 He has had a 30 year career in business and earned his bachelor’s degree in finance from the University of Wyoming.